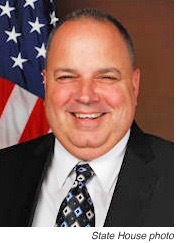 Rep. Dennis Canario (D-71, Portsmouth) and Sen. Cynthia Coyne’s (D-32, Barrington) legislation (H 5551Aaa) that would create a 19-member special legislative commission to study the effects of legalizing recreational marijuana in Rhode Island passed the General Assembly last night, according to a state house news release. 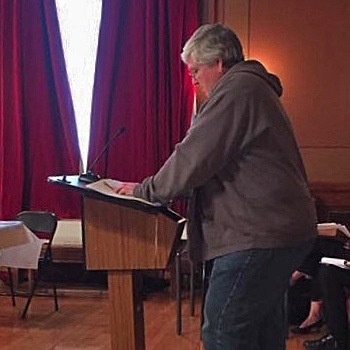 “Based on my experience as a retired State Police lieutenant and a mom of four children, I understand that legalization of marijuana for recreational use could have serious public safety, public health and societal ramifications. It is imperative that we thoughtfully consider the unintended consequences and take notice from lessons learned in Colorado and Washington. We should take full advantage of other states’ experiences and learn about whether we should follow in their footsteps or perhaps take a different approach to avoid any problems they may have encountered,” said Coyne. The commission would consist of three members of the House of Representatives, three members of the Senate, one member from Smart Approaches to Marijuana, the President of the Substance Use Mental Health Council of RI or a designee, a member from a pro-legalization organization, the Executive Director of the RI Medical Society or a designee, a member of a local chamber of commerce, the Director of the Department of Health or a designee, the President of the RI Police Chief’s Association or a designee, a designee of the RI Attorney General, a member representing the medical marijuana patients of Rhode Island, an educator in Rhode Island, a mental health professional, a criminal defense attorney, and the President of the RI AFL-CIO. Local cosponsors of the legislation included Sen. Jim Seveney (D-11, Portsmouth), and Sen. Lou DiPalma (D-12, Middletown). The bill now heads to the governor for consideration. Just got back from the State House where I testified before the House Labor Committee on Rep. Ken Mendonca's bill H5594 which would freeze the minimum wage for those under 20 at $9.65/hr, no matter what the general assembly does this session. He complained that people were "lighting up his twitter feed," so if any of his Portsmouth constituents are inclined to tweet at @ElectKenRI and provide feedback, you definitely should. Chair Craven, members of the committee. I’m John McDaid, a retired parent of a 17-year-old from Portsmouth. I’ve worked since I was my son’s age, and a fair minimum wage is important to me and my neighbors in Island Park, an area that committee member Jay Edwards represents. I speak in opposition to H5594, which would limit employees under 20 years of age to the current minimum wage, no matter what increases other workers receive. This is grossly unfair. I believe in equal pay for equal work. If a 19-year-old is doing the same work as someone just a year older, they deserve to be paid the same rate. I oppose H6052 for similar reasons. The narrow purpose these bills is to deny equal compensation based solely on age. If the general assembly decides to raise the minimum wage, why would it not extend young Rhode Islanders equal protection? Representative Mendonca’s concern trolling about the impact on jobs is disingenuous. Anyone who has studied the data should know the correlation between minimum wage increases and job loss is tenuous and inconclusive. Included in my written testimony is a study conducted by the National Employment Law Project analyzing 75 years worth of data. Quote: “basic economic indicators show no correlation between federal minimum-wage increases and lower employment levels, even in the industries that are most impacted by higher minimum wages.” I urge the committee to consider all the facts. As a semi-senior-citizen, I also urge the committee to consider the impact on older workers. This bill tacitly encourages age discrimination. If employers are as motivated by the bottom line as Rep. Mendonca suggests, why wouldn’t they always choose younger workers to get a lower rate? And as a parent of a child approaching college age, I can tell you I want my kid to get every penny he deserves at his jobs. This committee understands paying for college is no picnic. I want any member of the general assembly who supports for this bill to look my son in the eye and tell him “An hour of your life is worth less than an hour of mine. And I think that is fair.” If this bill passes out of committee, I promise to bring him back and introduce him to you all so you can tell him that personally. 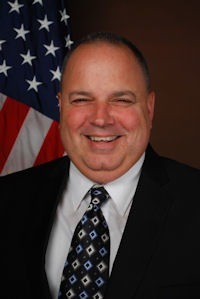 Rep. Dennis M. Canario (D-71, Portsmouth, Little Compton, Tiverton) is pleased to announce that the Rhode Island State House will be participating in the “Good Night Lights” program this Wednesday night through Friday night. The program involves businesses, buildings, and groups within the sightline of Hasbro Children’s Hospital whom blink their lights on and off for one minute at 8:30 p.m. every night. Often, blinking room lights can be seen in the hospital as reciprocation to the nightly ritual. “This is truly a heartwarming gesture that so many have become involved in over the past year and I would like to thank Governor Raimondo and her administration for allowing the State House to hopefully brighten the spirits of the children in Hasbro,” said Rep. Canario. The Aquidneck Island Planning Commission (AIPC) has rescheduled its 2017 Newport County Legislative Forum. Previously scheduled for March 15 but postponed due to weather, the event will be held Thursday, April 27, from 8:30 – 10 a.m. The 2017 forum is AIPC’s second annual legislative forum and part of its ongoing “Smart Island” series of public events. The event is free and open to the public; however, space is limited and registration is required. Anyone registered for the original event date must re-register. Tickets are available through AIPC’s website, www.aquidneckplanning.org. More info in prior post here. The Aquidneck Island Planning Commission (AIPC) has scheduled its 2017 Newport County Legislative Forum, to be held on Wednesday, March 15, from 8 – 10 a.m., in the auditorium of the Community College of Rhode Island in Newport, RI. More than half of the state’s Newport County delegation will participate in the forum, including Senate President M. Teresa Paiva Weed, Sen. Louis P. DiPalma, Sen. James A. Seveney, Rep. Marvin Abney, Rep. Deborah Ruggiero, Rep. Lauren Carson, and Rep. Susan R. Donovan. The event is expected to draw 150-200 people, and will provide an opportunity for questions from the public. The event will be moderated this year by Neil Steinberg, President and CEO of the Rhode Island Foundation, the state’s largest charitable foundation. “Community engagement is a positive force for change. State lawmakers, the Planning Commission and local stakeholders deserve credit for coming together to share their vision for moving the area forward,” said Steinberg. 2017 is shaping up to be an active legislative session, while the state faces added uncertainty presented by the new administration in Washington. 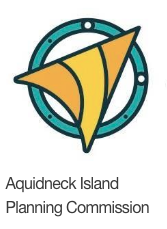 The forum will provide an opportunity to discuss how new state initiatives may affect Aquidneck Island. Over the past three years, jobs have been unfolding in Rhode Island in technology, advanced manufacturing, Information Technology, nursing, healthcare, digital graphics, and computer science. These are STEAM jobs (science, technology, engineering, arts, and math). In five years, Rhode Island will have more than 4,000 jobs in computer science alone. So, let’s get our kids excited about jobs in the digital world. Rhode Island is the only state in the country to fund computer science (CS4RI) classes in grades K-12. SENEDIA (Southeastern New England Defense Industry Alliance) is doing it. They’ve partnered with Real Jobs RI to develop internship programs for cybersecurity and undersea technology. They’ve developed an intensive cybersecurity training program with CCRI in Newport and this is an on-ramp to in-demand jobs in cybersecurity. As co-chair of the Defense Economy Planning Commission, I’ll continue to support the Defense Sector. It generates $105 million in tax revenues for the state every year. In fact, the Defense Industry is the highest paying sector, with jobs averaging $94,000- $110,000. Recently, a public-private partnership at URI, Johnson & Wales, RIC and Bryant launched web development minors to prepare students for high paying jobs in software development. Not every son or daughter is going to go to college. We also need electricians, plumbers and contractors to build things and get it done—on time and on budget. That’s why the PTECH (Pathways in Technology) pilot programs are so innovative pairing classroom work with real-world experience to succeed in a specific industry. On Aquidneck Island, SENEDIA (Defense Industry Trade Association) partners with Rogers High School on cybersecurity. In Westerly, Electric Boat teaches high school students to be welders and boat builders. EB has 1,000 jobs each year for the next several as Rhode Island builds submarines for the US Navy. Let’s continue to educate and train our workforce so they can cash those paychecks earned (and spent) here in Rhode Island. Johnson & Johnson, a Fortune 25 company specializing in information technology and data analytics, plans to open its new health technology center in Rhode Island with 75 high-skilled positions. Wexford Innovation Center is creating jobs in our state from construction to computer science. Virgin Pulse, which recently bought a Rhode Island company ShapeUp, is expanding its operations in Rhode Island creating 300 jobs. Rhode Island has always been, and will continue to be, a state of innovators and doers—from the spinning wheels at Slater Mill to the spinning turbines off Block Island. This country’s first off-shore wind farm, the Block Island Wind Farm, is a powerful example of the state’s long-standing commitment to innovation and getting things done. Rhode Island is home to world-class beaches, parks, and trails, but Rhode Island must also be home for innovators, entrepreneurs, and just plain doers. So, let’s get it done. Representative Deborah Ruggiero- District 74 Jamestown/Middletown, is chairwoman of House Committee on Small Business and serves on House Finance. 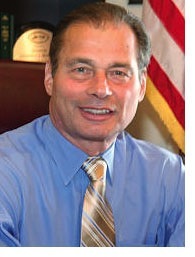 RI State Senator James A. Seveney (D-Dist. 11, Portsmouth, Bristol, Tiverton) was formally sworn into office Tuesday, Jan. 3, as the 2017-18 session of the Rhode Island General Assembly convened. Senator Seveney was one of 4 new members of the Senate who took the oath of office, which was administered to all 38 Senate members by Rhode Island Secretary of State Nellie Gorbea. The Senate began its legislative year with a program of activities that included the re-election of Sen. M. Teresa Paiva Weed (D-Dist. 13, Newport, Jamestown) as President of the Senate. Elected to the post in January 2009, President Paiva Weed began her fifth two-year term today with an address to the Senate members and other assembled officials and guests.